Styled to transition seamlessly between sport and casual wear. Made of Grilamid TR-90, a homopolyamide nylon characterized by an extremely high alternative bending strength, low density, and high resistance to chemical and UV damage. Hydrophilic rubber ear and nose pieces for a no-slip fit. Adjustable nose pieces for custom fit. 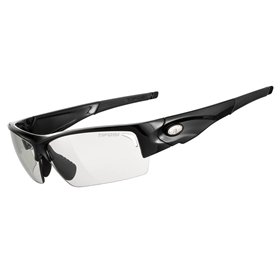 Vented lenses improve air circulation, prevent fogging.